Microbes at their best: we harness ancient sourdough fermentation technology to transform people’s expectations of wheat and wheat-based pastas. To do business following a quadruple bottom line, which considers the environment, our social and community fabric, business and innovation. 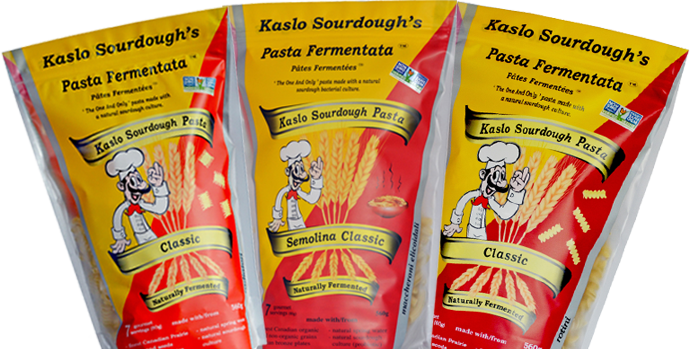 Kaslo Sourdough is a second generation family business located in the West Kootenays of British Columbia, Canada. Gabi and Silvio immigrated to Canada from Germany, bringing their taste passion for good food with them. Together, they have successfully run the Kaslo Sourdough Bakery for over twenty years, improving recipes, trying different combinations of seeds and flours, and fundamentally changing bread in the West Kootenays. They continue being food innovators, and work with both head and heart. Heidi is dedicated to healthy living. Growing up in Kaslo, BC, she has firsthand experience watching her parents maintain a thriving local business, the Kaslo Sourdough Bakery. After she completed her BA from the University of Victoria, she stepped into the expansion of Kaslo Sourdough, and became the General Manager of their growing fermented pasta business. Look for her on the road and at health food shows! Upon graduation, Stefan moved to Germany and completed an apprenticeship under a reputable bakery/pastry business in the Erzgebirge region. 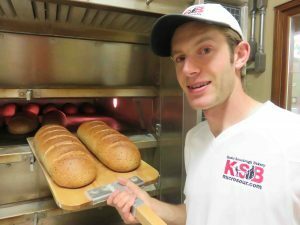 He discovered his passion for bread baking early and returned to Kaslo to take on Silvio’s role in the bakery, and later, manage the production of our sourdough pastas. In his spare time, he is the President of the Kaslo Search and Rescue society, and part-time paramedic. He has also been involved in several key community projects, such as volunteering with the Kaslo Trailblazers Society to build the Kaslo River Bridge, a popular attraction in town. 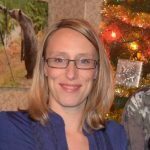 Heike recently finished her master’s in environmental studies at the University of Victoria. 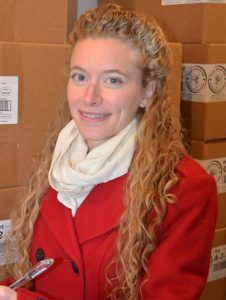 She joins Heidi on the road for numerous health shows throughout the year, and manages the majority of Kaslo Sourdough’s accounts. Have an inquiry about starting a new account with our pastas? You’ll probably be hearing from her! Renee is a long time family friend and our recipe-guru! If you’re in the Okanagan, there’s a good chance you’ve already met her at one of the many in-store demos she has done in the region. See her complete bio here. Tania was born and raised in Kaslo BC. After graduating in 1997, she left for Alberta to pursue a job in hotel & restaurant management. After spending 7 years with CP & Fairmont Hotels, she returned to Kaslo in 2005 where she worked in sales & marketing, accounting & editing for a newspaper company. Since her arrival back to Kaslo, she had become a paramedic, volunteer firefighter, and mother to 3 amazing children and is excited to be a part of the team at Kaslo Sourdough!